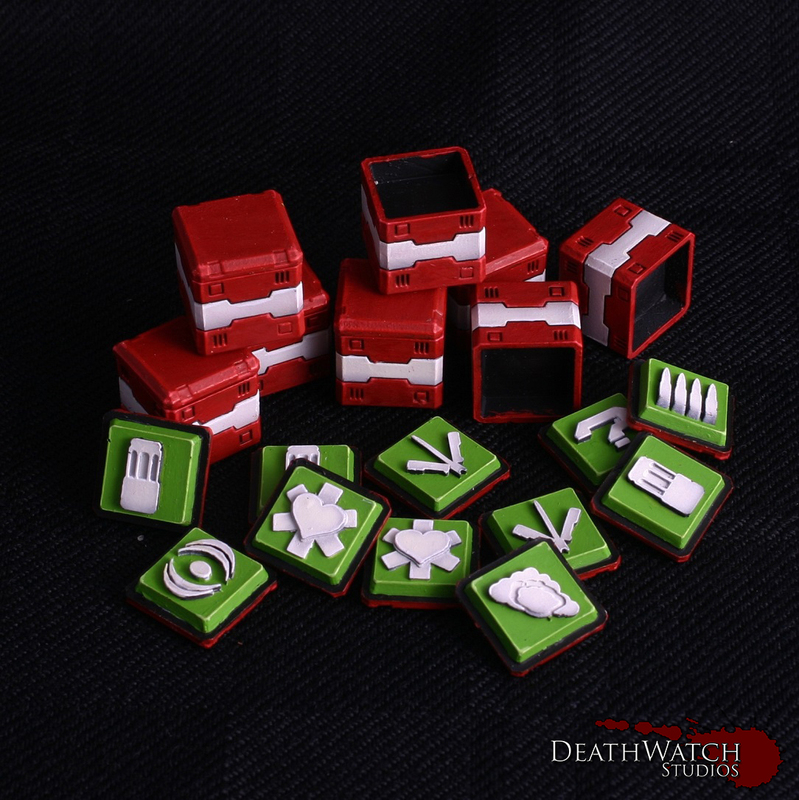 Deadzone – Resin Equipment Crates Finished! Added the last few licks of paint to the equipment crates, and now have some funky additions to my games of Deadzone….. I think these are a great addition to the game, as they help to make it that little more immersive. There’s also something about opening something up to find out what you have rather than just flipping a token that adds that extra element of fun. I’m very pleased with how they’ve turned out, especially the boldness of the symbols :D. Makes it really easy to know what your getting. ← Deadzone – Resin Equipment Crates Started! You did a lovely, beautifully graphic job on these.